Matisse & Sadko are two brothers that have taken the EDM world by storm. These internationally acclaimed producers and DJs have been at the forefront of the genre since their debut in 2009, working with scene-leading artists (Martin Garrix, Tiesto, Steve Angello) and influential record labels to build a worldwide reputation as pioneers of the movement. Following several underground releases, the pair made their first proper entry into the mainstream with a Steve Angello collaboration on SPINNIN’ Records in 2013. This was followed by a joint project with Martin Garrix in 2015 – the ‘Break Through The Silence’ EP has gained over 42 million streams, becoming a career highlight and bringing the brothers’ dynamic music to a broader audience than ever before. 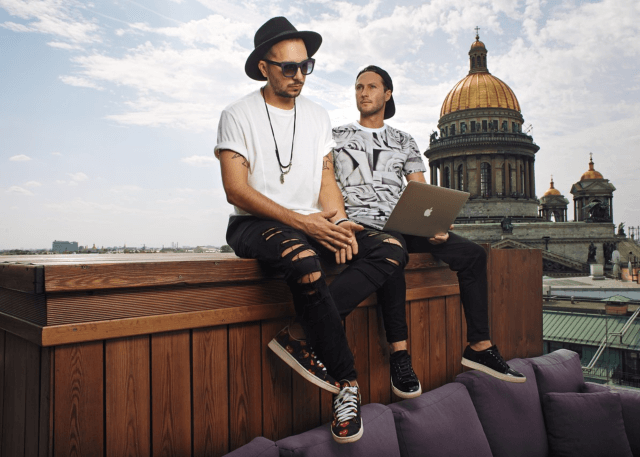 In 2016 Matisse & Sadko launched their own imprint MONoMARK, self-releasing several successful EPs: “Machine Gun”, “Ya Amar” and “Witchcraft”. 2017 saw the release of their fourth collaboration with Martin Garrix, “Forever”, swiftly becoming of the biggest dance anthems of that year. The brothers found another career highlight in 2018, collaborating with EDM titan Tiesto on the popular track ‘Dawnbreaker’. With 150 million total plays and 3 million monthly listeners on Spotify, and 2600 total days on the Top 100 Beatport chart, these talented producers have reached the peak of their career. They continue to work on new material in the studio while regularly performing at sold-out venues and festivals including Tomorrowland and Ultra.